As I have written during the past few days concerning the issue of person-first language as compared to identity-first language in the nomenclature of autism, as well as the conversations I have had with parent advocates about the issue, it seems that what is being imposed in naming individuals on the autism spectrum is person-first language (“person with autism”). And when I said “impose,” I didn’t mean advise, encourage, or promote. It is literally being shoved into everyone who uses the word “autistic” in naming people on the spectrum, regardless of how innocuous the usage was. It kind of reminded me of how foie gras [ˈfwä-ˈgrä, fwah grah] is commonly made. 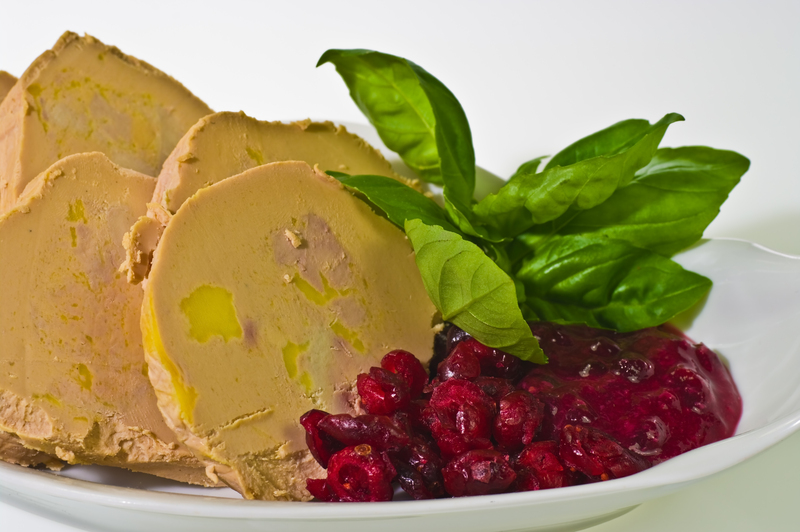 For those who have no idea what foie gras is (again, it’s pronounced fwah grah, not foy grass), it is a well-known French delicacy made of the liver from ducks or geese, whose livers are made to fatten by forcibly feeding them corn using a gavage, feeding tube. The gavage is composed of a funnel, to where the corn is fed, and is connected to a tube, which is usually made of stainless steel, aluminum, or polyethylene. 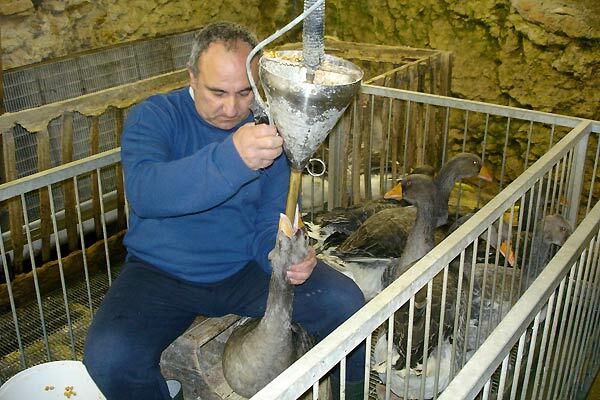 The tube is shoved up in the bird’s mouth, or in an incision made through the neck, and the corn, which can range from about 500 grams (in dry weight) to 1 kilogram (with water and oil added), is shoved in. Consider if a human would be fed this much. The proportions would be equal to 15 kilograms of dry uncooked pasta, or over 30 kilograms of cooked pasta. Now this isn’t really about the foie gras — I don’t normally eat liver, which is a huge sensitivity for me. It’s about its production, and how the process resembles what person-first language advocates are doing. My primary concern is how person-first language is being forced on by some autism advocates, without even consulting those to whom the naming will be applied. And I am saddened, because I have been hearing some stories from students that their professors dispel the word “autistic” from their classes and force their students into using “person with autism” at all times. Even other self-advocates (including some with whom I have contact), due to the influence of their parents (who happen to be person-first advocates themselves) follow suit, and use “person with autism” to refer to themselves and their fellow autistics. This short adage has been the battle-cry of self-advocates who adhere to identity-first language. To many of us, autism has been part of our lives, and part of who were are now. Again, while I would like to stress the good faith of person-first language advocates to put our personalities first before our so-called “disability,” autism has become a personality for many autistic people. And for many of us (especially myself, both as a self-advocate and a language enthusiast), person-first language is redundant and is trying-hard. Many self-advocates, especially our counterparts in the United States, where autistic self-advocacy is a powerful tool, have discussed ad nauseam their stand on the debate on identity-first and person-first, standing for identity-first. But person-first advocates are raving over our preferences, and think that calling ourselves “autistic” would be akin to calling ourselves “idiots,” “retards,” “stupid,” and “morons,” among others, all which we really aren’t. That reasoning, in my book, is both pathetic and ridiculous. The tactic of person-first advocates is their consistent usage of the words “should,” “must,” “have to,” and “need to,” among others. The imperative rhetoric gives the impression that everyone is required to use whatever language they prefer, disregarding personal preference. the possibilities are endless, but this pretty sums up much of what I want to say. To be frank, I have NEVER seen an identity first advocate tell a person first advocate that they SHOULD stop using person first language, the way person first advocates are always throwing around the word SHOULD. Please don’t tell me what I should call myself. It’s rude. I’ll admit, I’m an identity-first language advocate, but like many of my fellow self-advocates, who are adherents to identity-first, I don’t resort to compelling people to use identity-first language the way person-first advocates do. Sure, I may throw in upfront a few rationales or reasons why I opt to use it and why it is a better choice, but is not so insidious compared to how person-first advocates force everyone (autistic and non-autistic alike) to use such nomenclatures, often without even asking us autistic people. I applaud the Deaf community in reclaiming the word “deaf” and actually use it to refer to themselves. Why can’t the autism advocacy community learn from this victory and those of other disability communities? I mean, can’t you people just ask at least what we want to use (without you even prodding us what to say)? And if the autistic individual has no means to communicate proficiently (I don’t think so in some cases — they may not be able to speak, but they at least can think — what are augmentative and alternative means of communications for? ), why not try asking those who can communicate better and understand your language? I am expecting people, especially person-first advocates, to tell me something like “Can’t you write about something else and quit blasting us on what we advocating for?” and “You’re splitting the Filipino autism community apart!” Well, I am no clean kettle, but you’d be a pot calling the kettle black if you would tell me that. Don’t worry, I’ll be on a great article, but at this point, let me tell you what I have to say. And don’t worry, I don’t (and won’t) shove my personal choices onto you the way you guys do. I’ll do it the more ethical way: getting us autistics (people for whom are being advocated, and can also advocate) together and telling other autism advocates (people who advocate for us) what we really want and need, without the need for imperative rhetoric.